M.M. You are right! The whole first page just looks icky! Not real reds, even. I like the P.R. Black Cherry, but it dries browner. I should try the P.R. Burgundy Mist, or the Swish-mix burgundy. Cd'A. Storm looks very wispy! 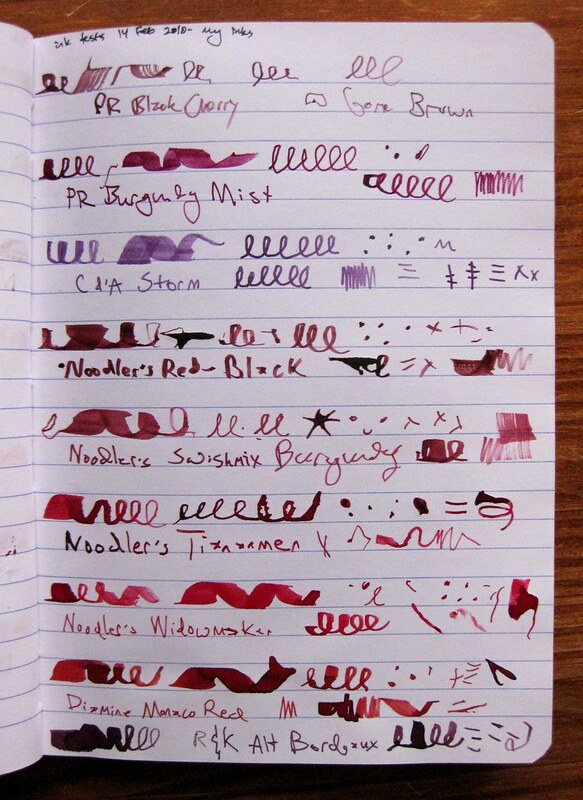 I just ordered a few more Diamine inks, since the Easter 15% off sale is still in effect! Trying for a real deep green ( not teal ). Bought a BIG bottle of Majestic Blue, since it is a wonderful color! 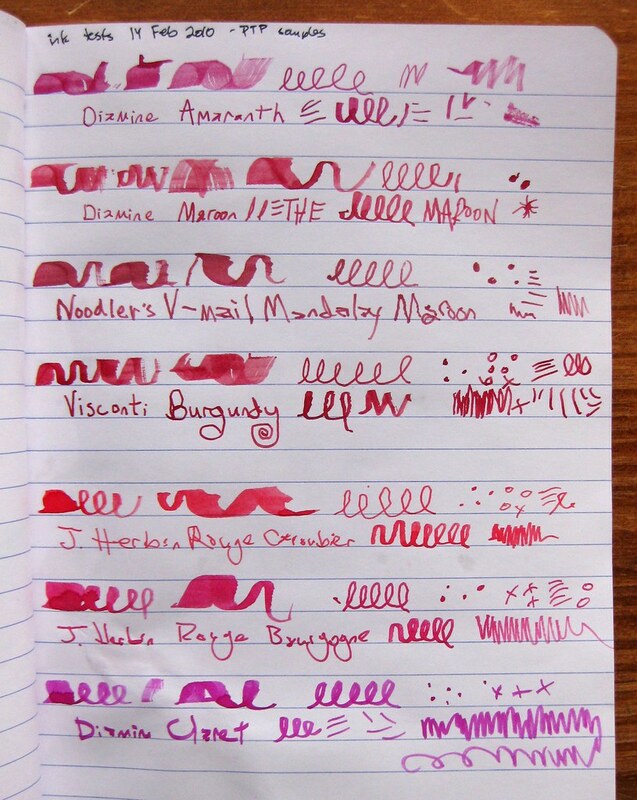 Oh NOOO.... the Diamine sale is still on? This means I will probably have to succumb... but I will also probably wait forever for the shipment, since planes aren't flying in the UK right now! wow I think it is an interesting ink . Effect of volcanic ash on international post? Today we battle in the tub!